Wolves will take on the Crossbar Challenge on Soccer AM this Saturday morning. Last year, Wolves set an all time Soccer AM record of hitting the bar four times. Christophe Berra, Matt Hill, George Friend and Graham Stack were the ones to hit the woodwork and you can the video below. Expect to see how they did at around 11.45am on Sky Sports One. Elsewhere, a feature with captain Karl Henry will be on Barclays Premier League World tonight from 7.00pm on Sky Sports One. Finally, a piece with Matt Jarvis is set to be screened on Gillette Soccer Saturday tomorrow lunchtime. Expect it to be on between 12.30pm and 3pm on Sky Sports one and Sky Sports News. *There are still a few restricted view tickets available for tomorrow’s trip to Fulham. 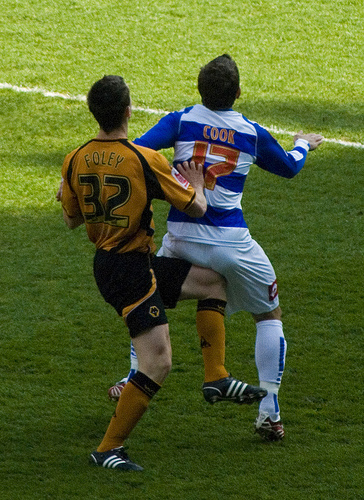 Foley has made 106 appearances for Wolves since moving from Luton Town in 2007. Wolves defender come winger Kevin Foley is enjoying playing further up the field and feels he is now getting used to the position he is being deployed in due to Michael Kightly’s long-standing injury. Foley has played in each of Wolves’ last 19 league games and is improving in his midfield role week by week. It has now got the point where Foles is practicing his shooting in the warm up; something he never thought would be happening this season. He has been unlucky in recent weeks after hitting the woodwork at both Bolton and West Ham. My verdict: Foley is starting to pick up form in his new position and is starting to bring others into play a little more. It is disapointing that our player of the year from 08/09 is playing out of position but hopefully he can revert to his favoured right back slot next season. 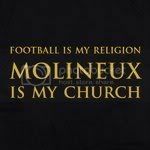 * Home shirts are now only £10 at Wolves’ official club stores at Molineux and in Dudley Street.